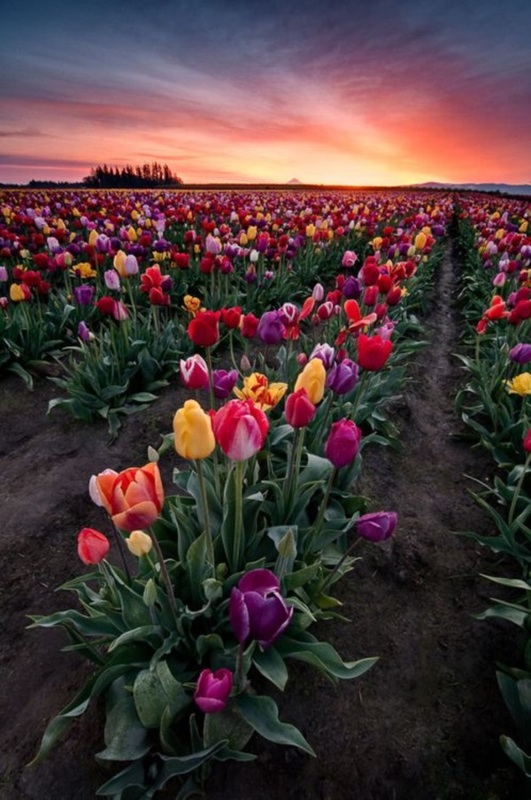 Mother Nature must have been smiling and in a happy mood when she created flowers. 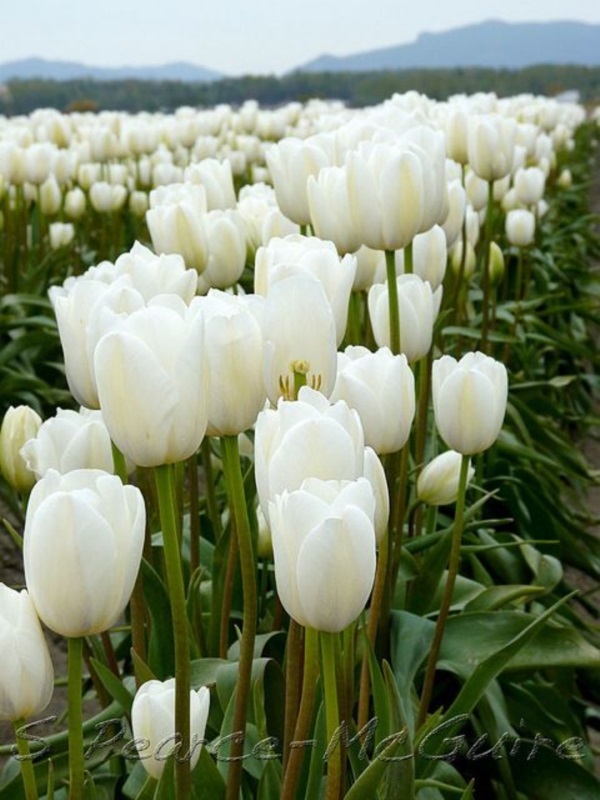 How else can you think of her when the end product is so immensely beautiful to look at, so incredibly sensuous to the touch and so fragrant to smell? 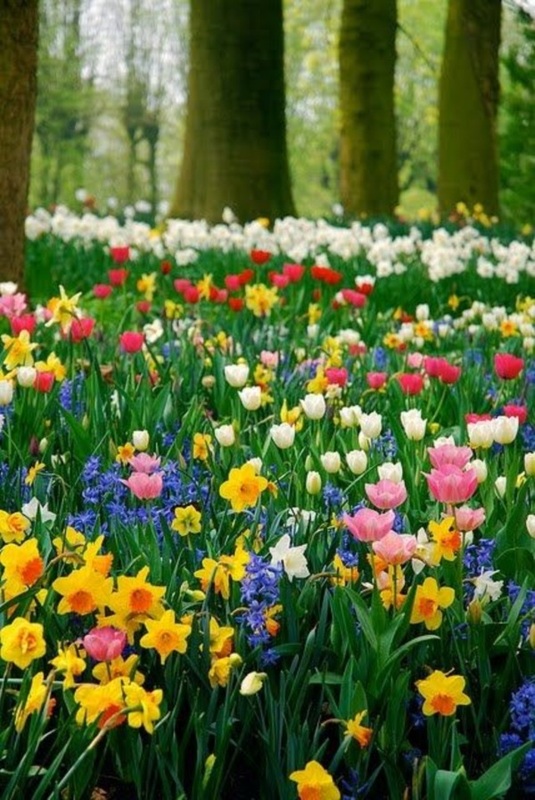 There is no doubt that flowers have the power to make the grimmest heart feel a bit lighter and even induce a smile or two when you cast your eyes upon them. 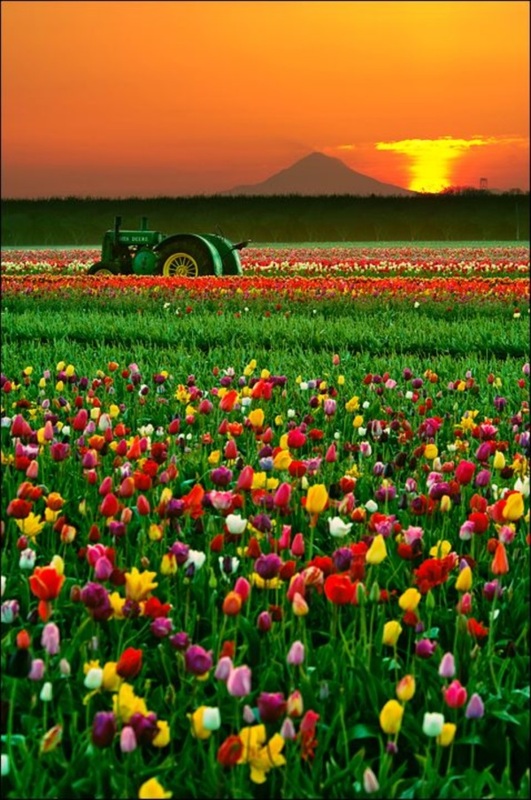 That is why there is so much to the art of flower arrangement and the beauty of it than catches the eye. 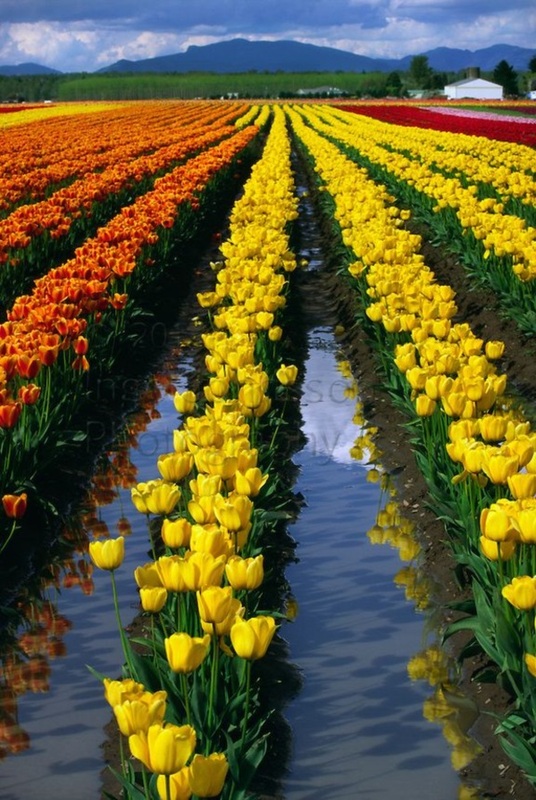 That is why when you look at a fascinating tulip field picture, you would be glad that somebody insisted that these are never to be missed. They say that just looking at amazing pictures of beautiful flowers, can lift your spirits; you should try it and you will be stunned to see your disposition becoming more positive. 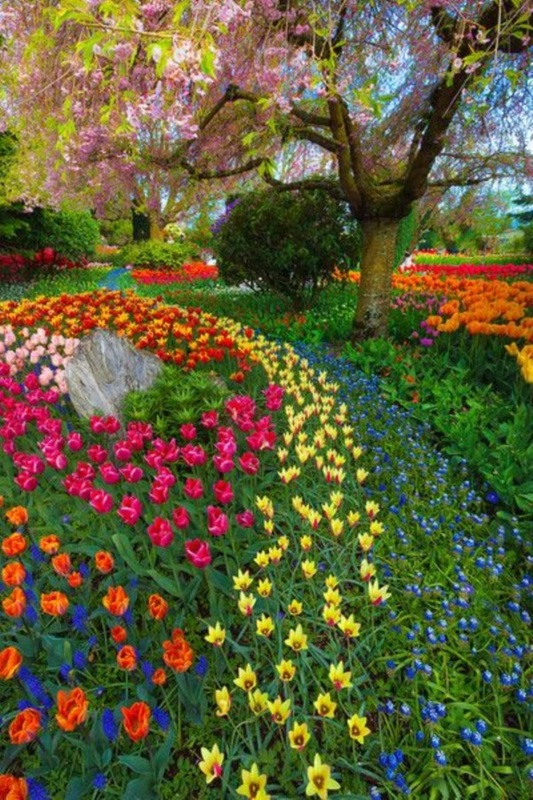 In fact, if at all it is possible you should inculcate some flowers in your elegant backyard pond ideas when you are planning one. 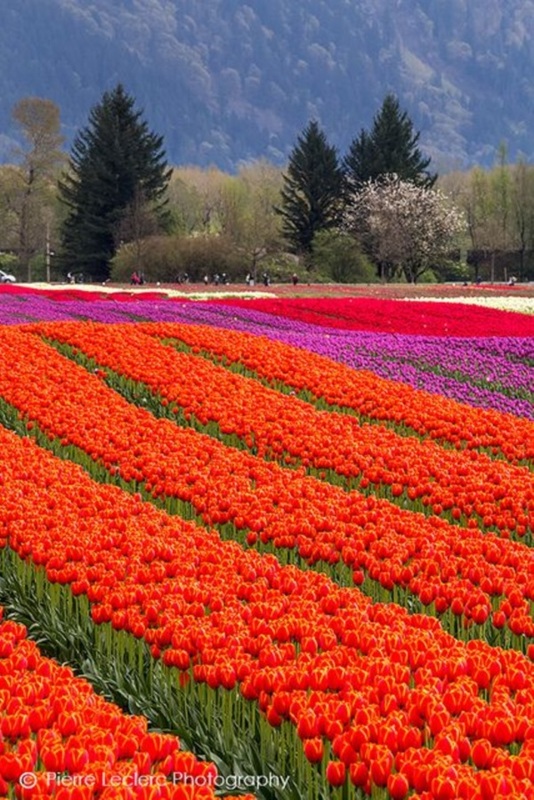 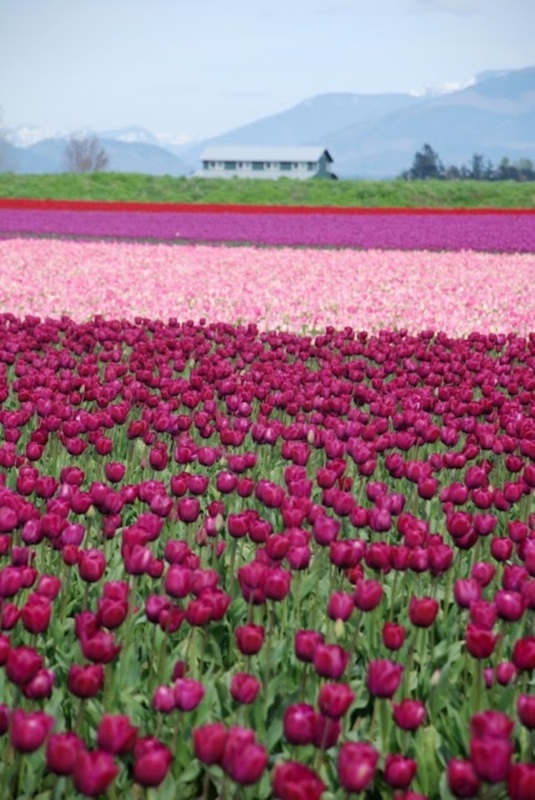 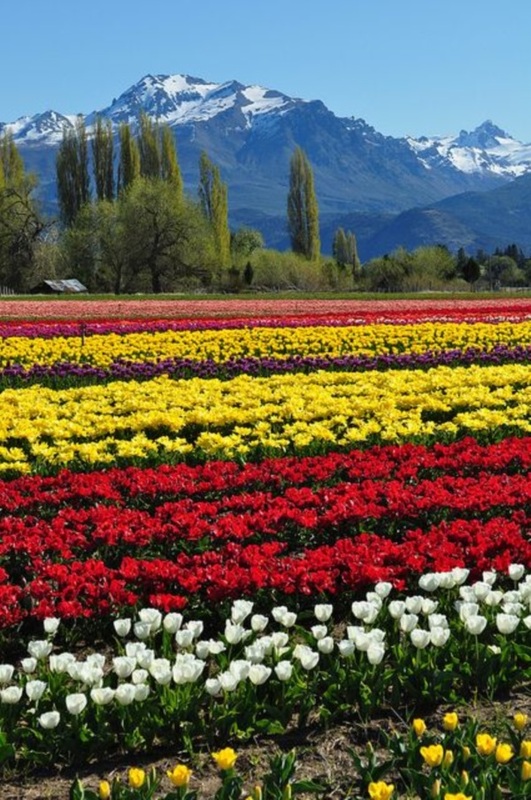 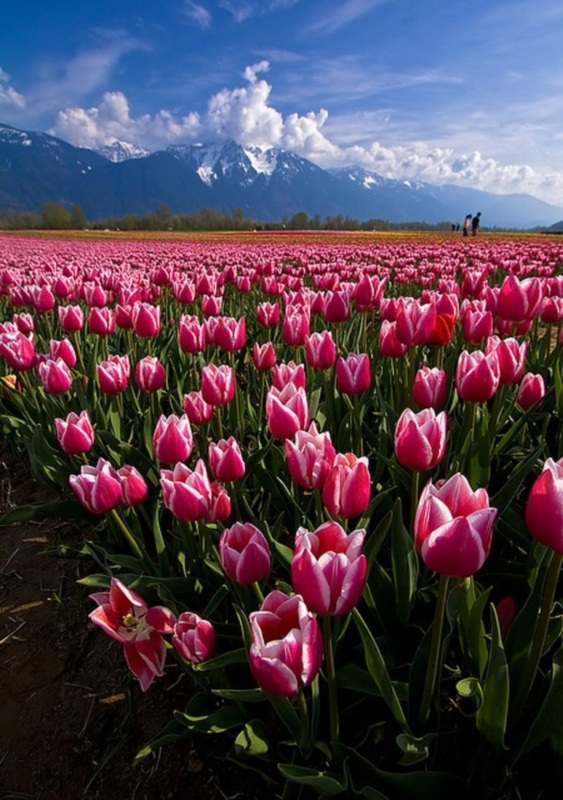 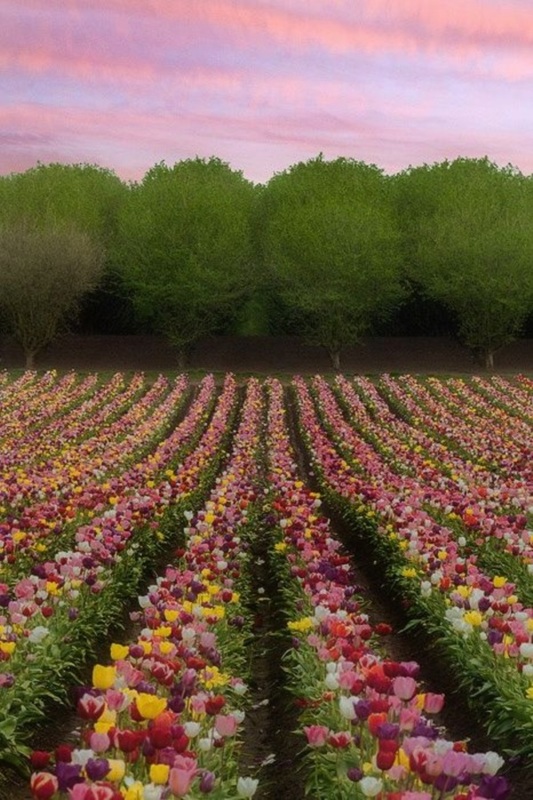 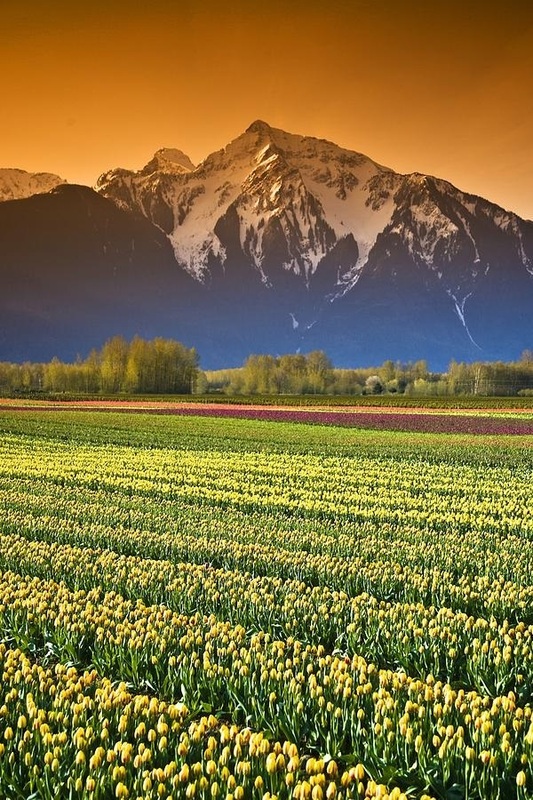 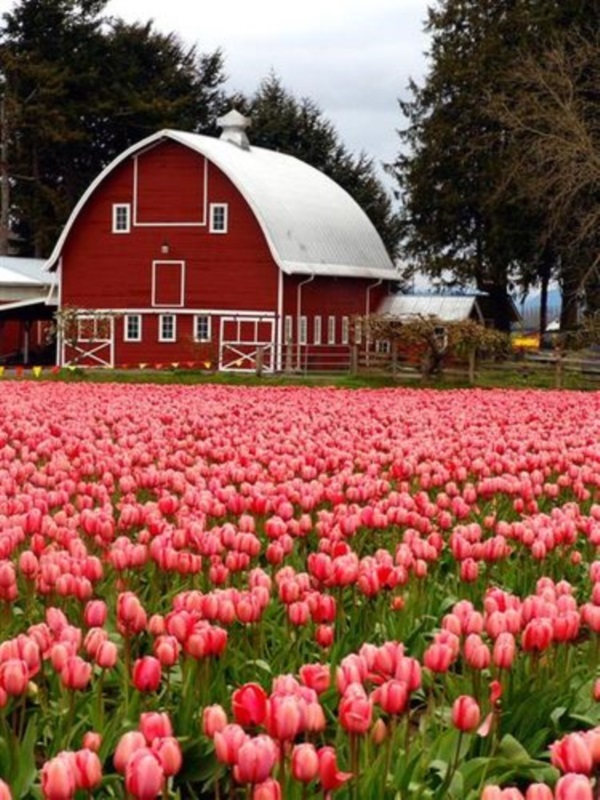 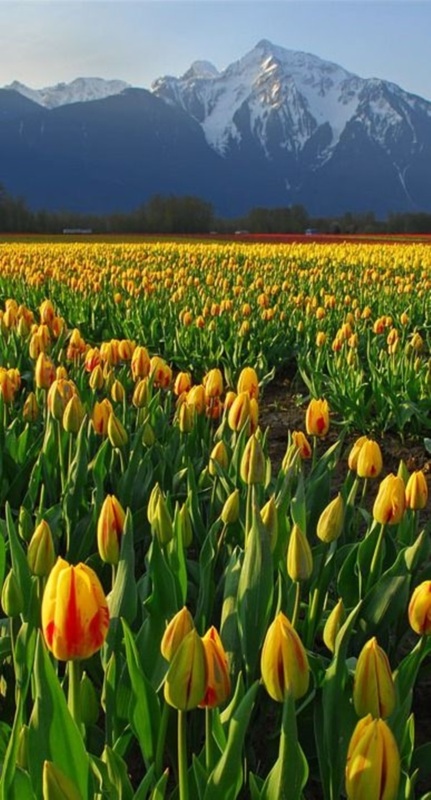 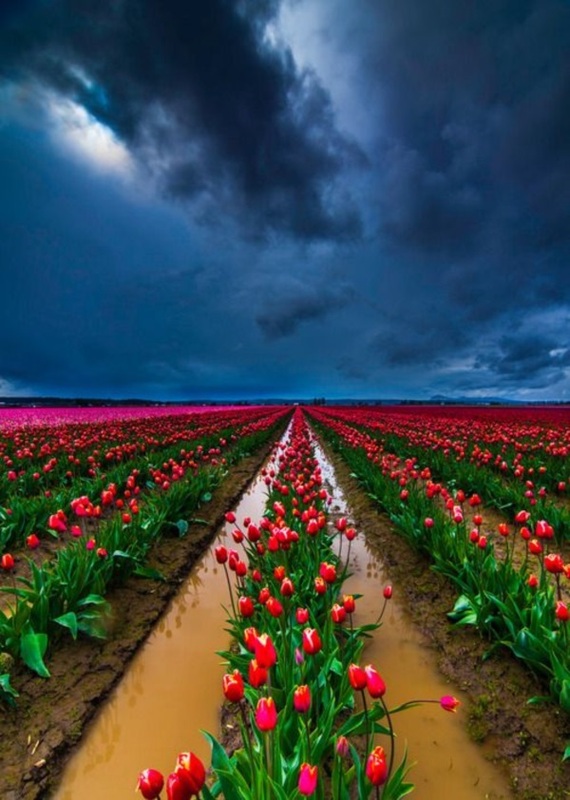 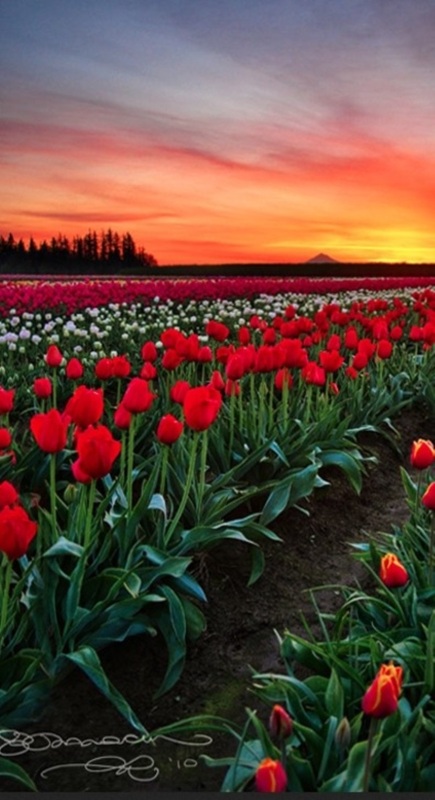 What Is So Fascinating About These Tulip Field Pictures, Which Are Never To Be Missed? 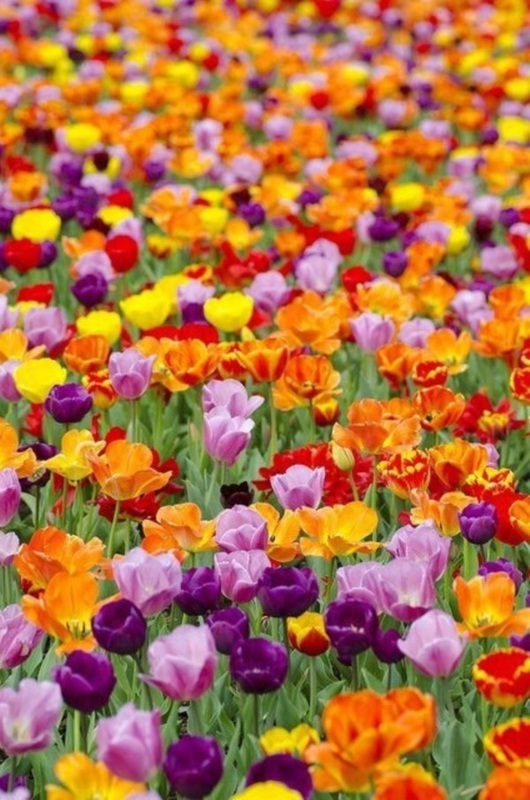 The colors: It is fairly obvious to most of us that the appeal of looking at blooming flowers comes from the color, which can be almost overwhelming at times. 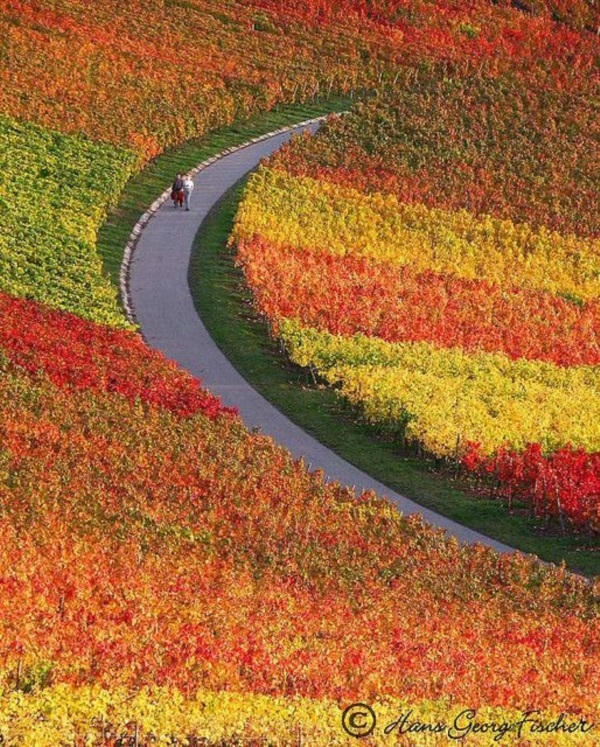 So much so that some may think that some paint has fallen on to the fields to show this much color to anyone. 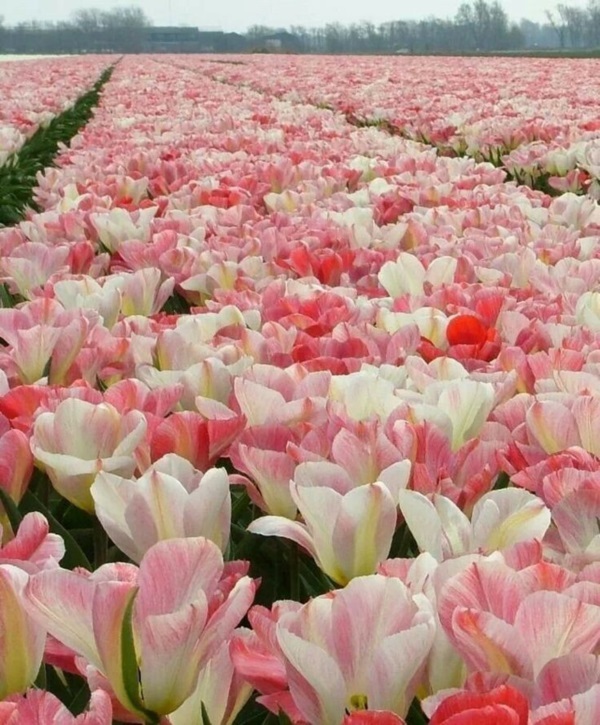 Nevertheless, it is not true, it is color that comes from myriad tulip blooms coming into their own at once. 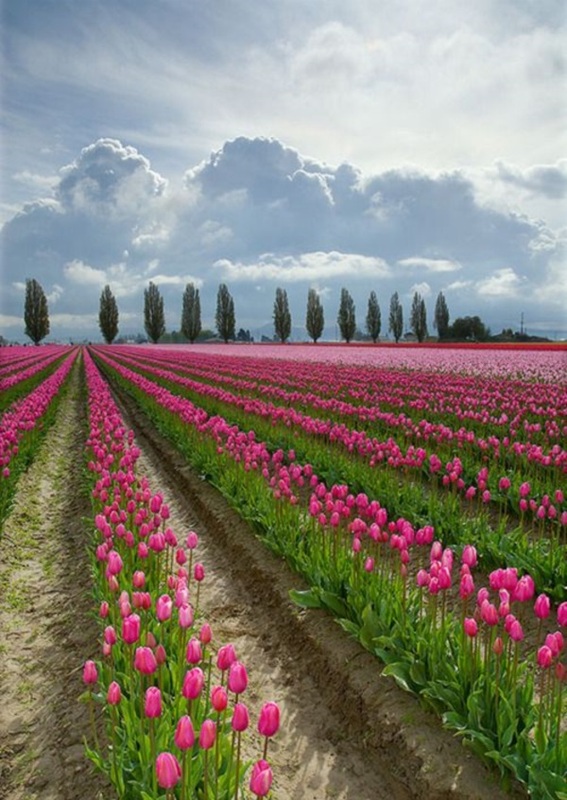 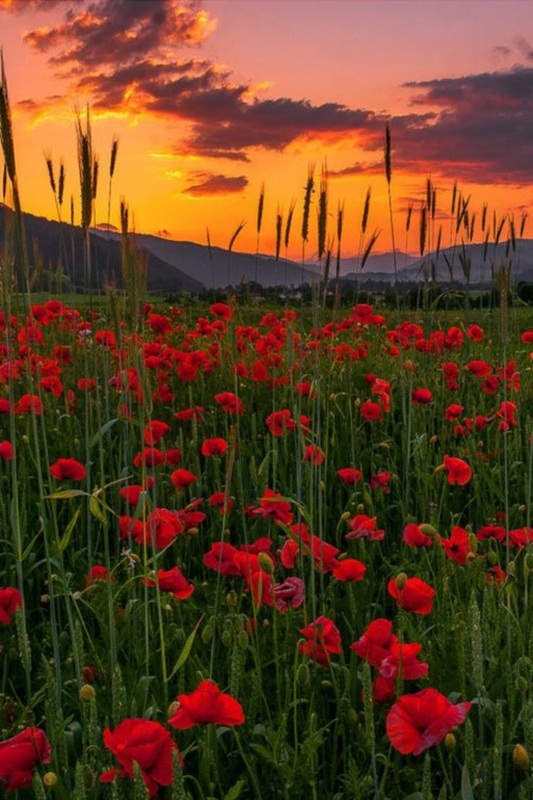 They are iconic: Many a colorful and romantic love scene has been shot using these fields of flowers as the background. 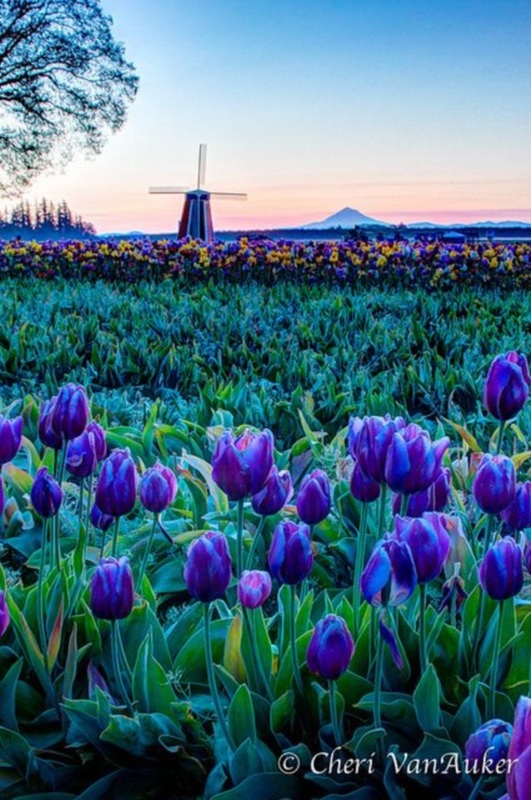 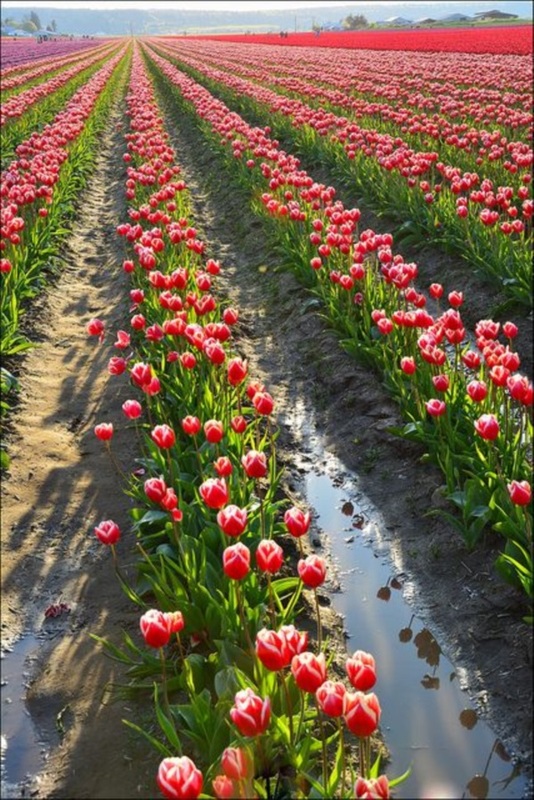 This is not only because these tulip field pictures are never to be missed, as they are beautiful, but also because these are also iconic. 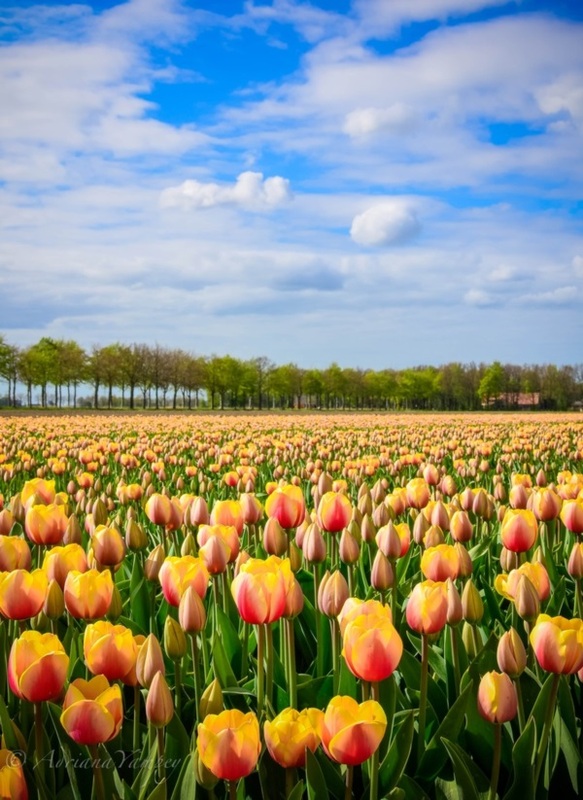 The very essence of spring: Imagine this; everywhere you cast your eyes, you are faced with rows upon rows of beautiful blooms in all their colorful glory. 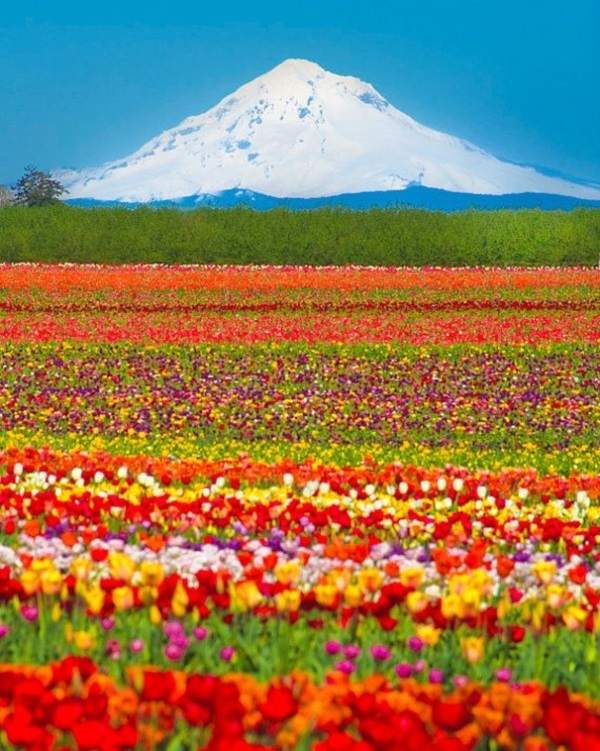 For most people who live around this area, chances are that this may have become a sight that they have gotten used to. 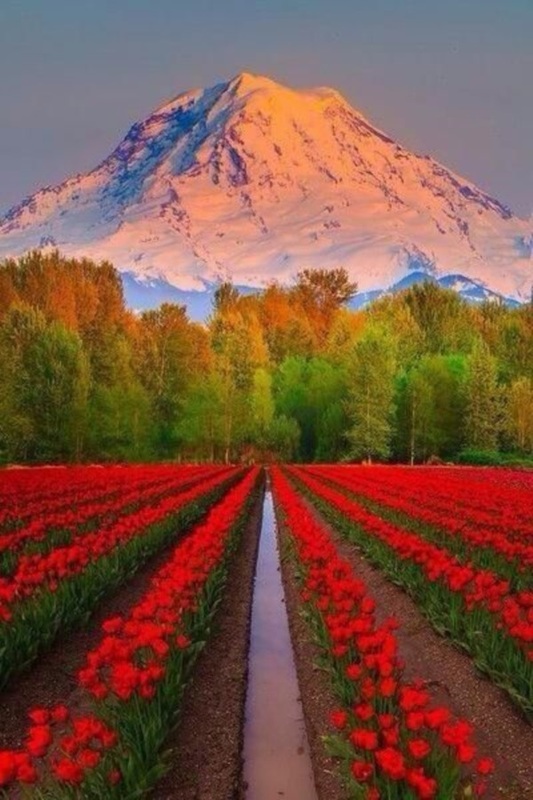 However for most people who are not fortunate enough to live in the vicinity of such intense beauty, a sight like this can be a like a balm that is applied to a sore soul that is much in need of succor and care. 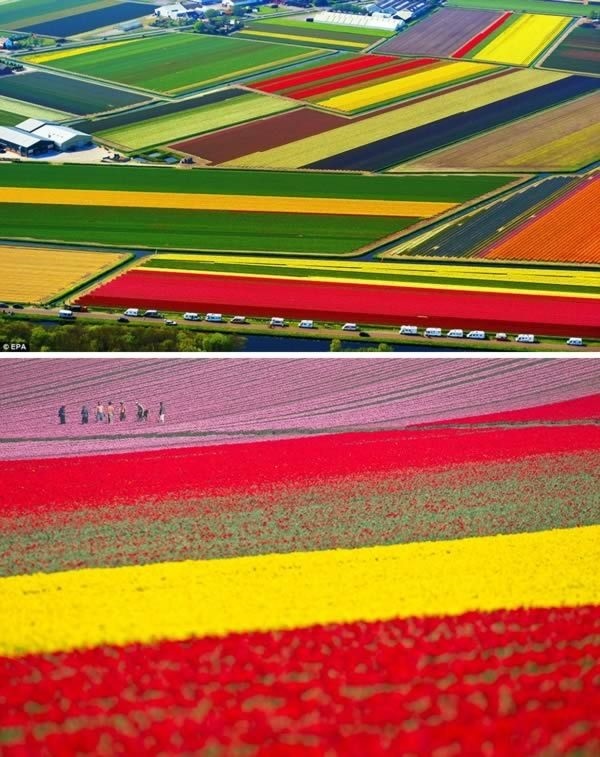 Aerial views: These floral beauties have been the inspiration for so many photography aficionados and that is why they have been captured for all eternity from all angles. 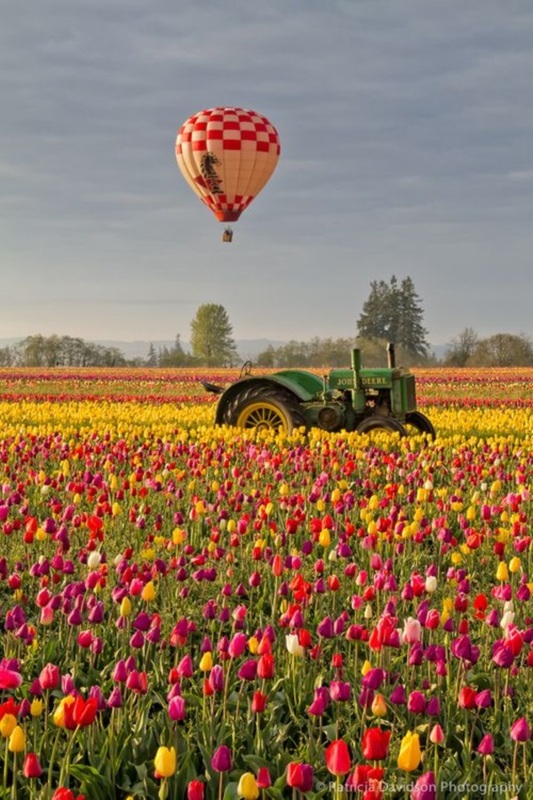 There is no angle that has been overlooked including aerial shots. 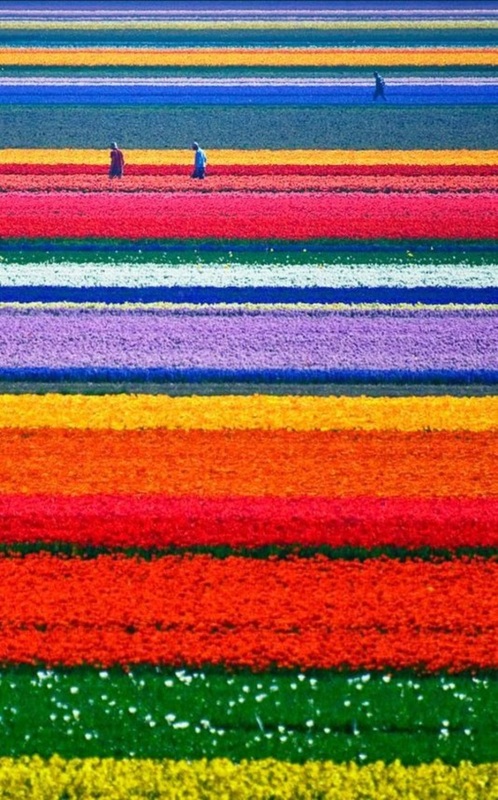 When looked at from the air, these fields of tulips look just like intense strips of color and one cannot really make out the flowers. 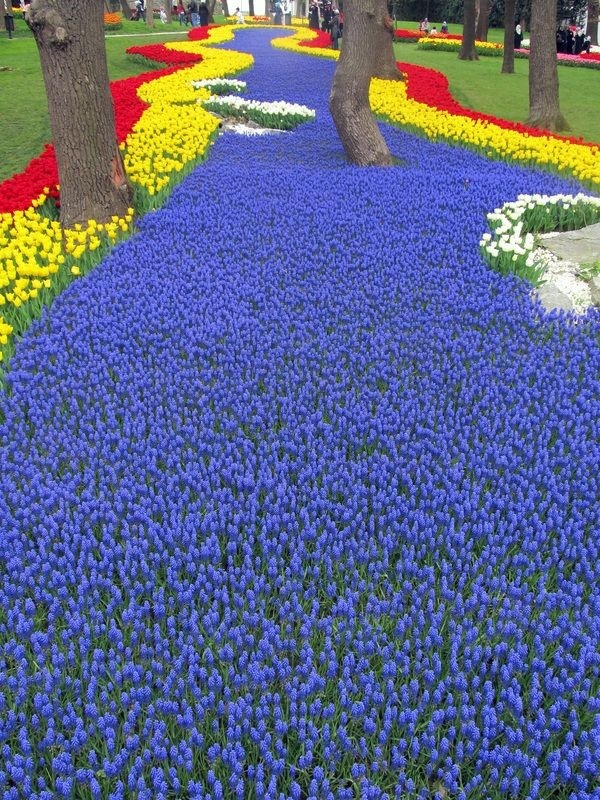 However, if you think that this will reduce the beauty of this visual, then you could not be more mistaken. 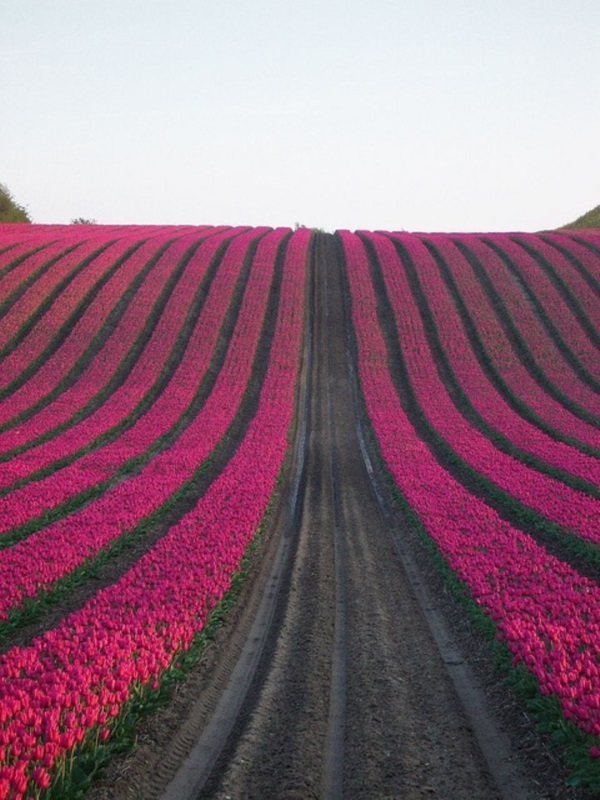 Art with nature: When you look at fields of tulips, then you realize that this is also art that cannot be completed without help from nature. 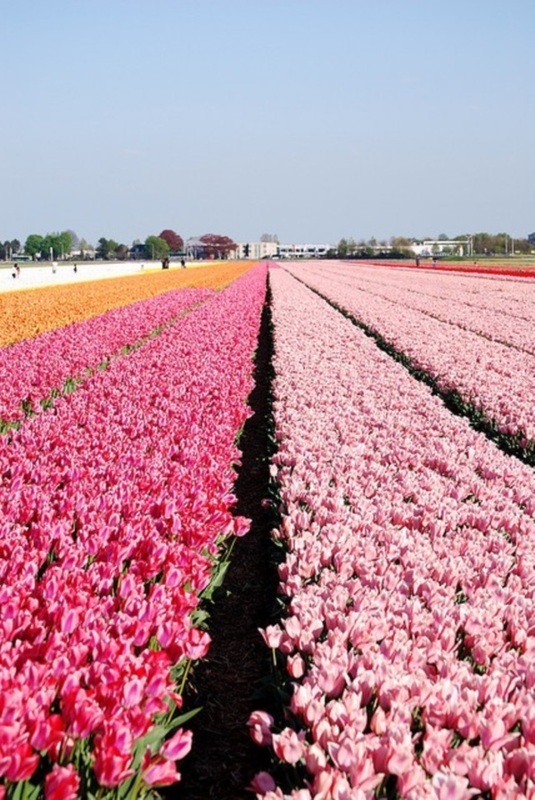 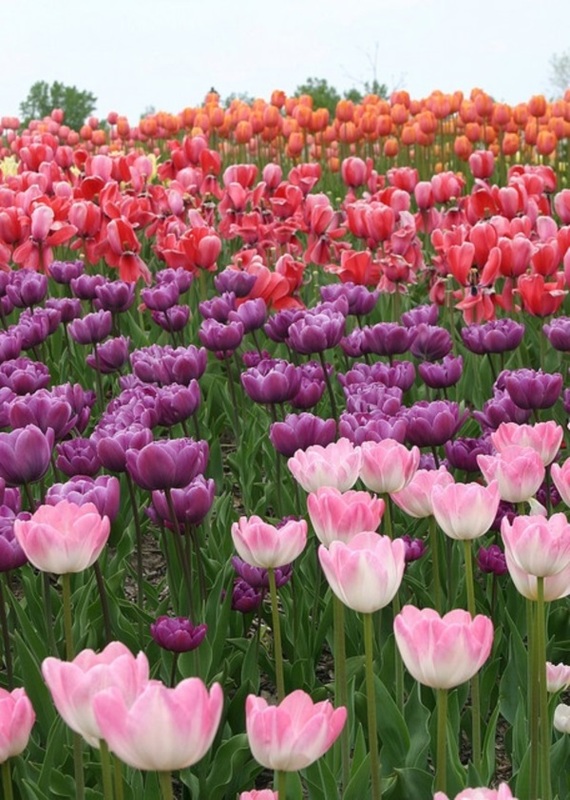 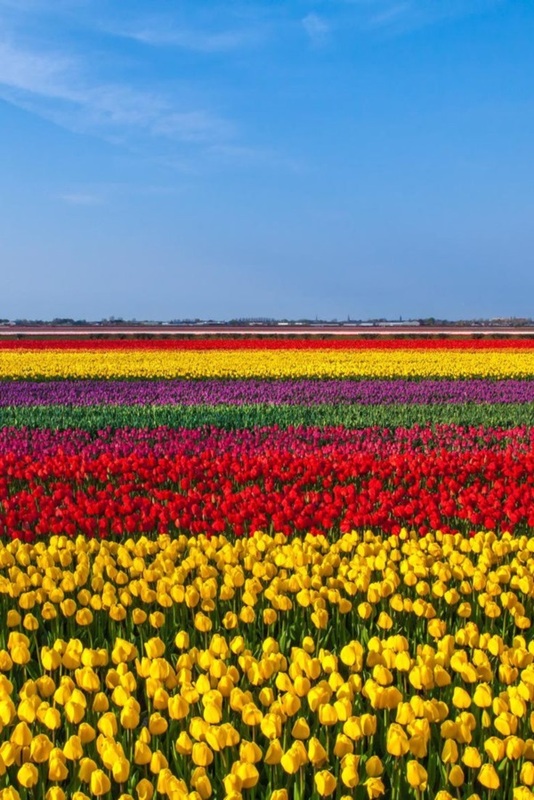 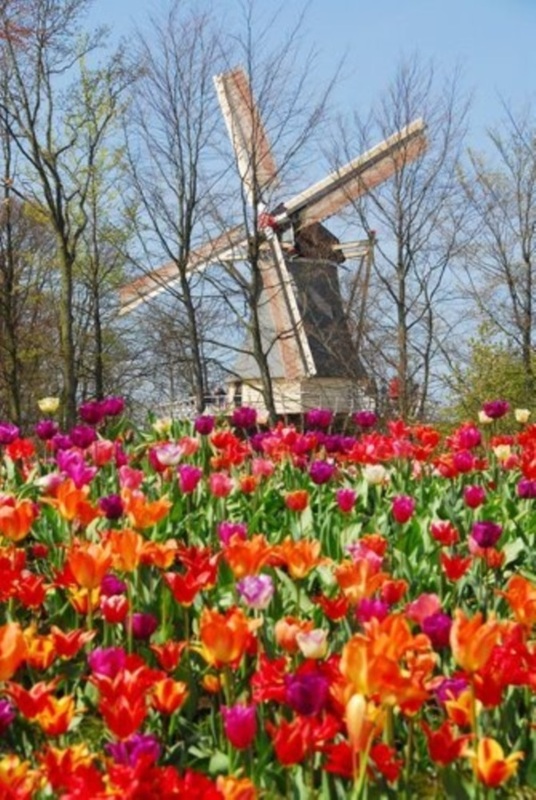 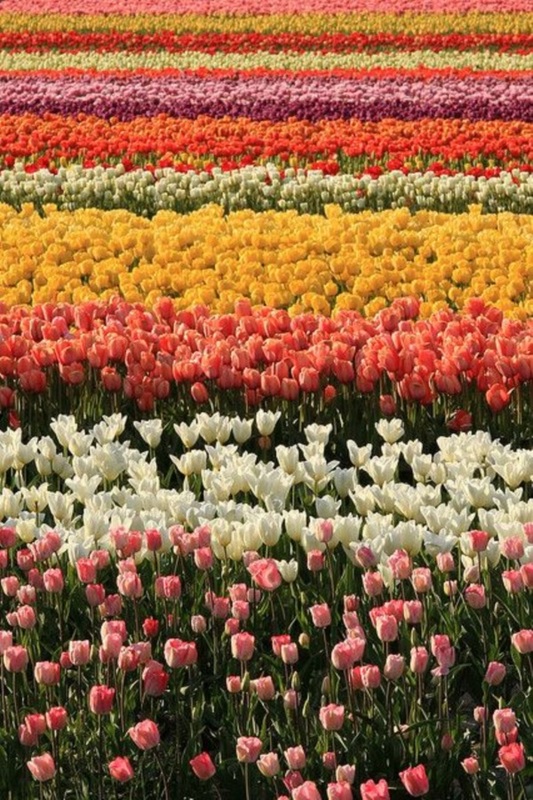 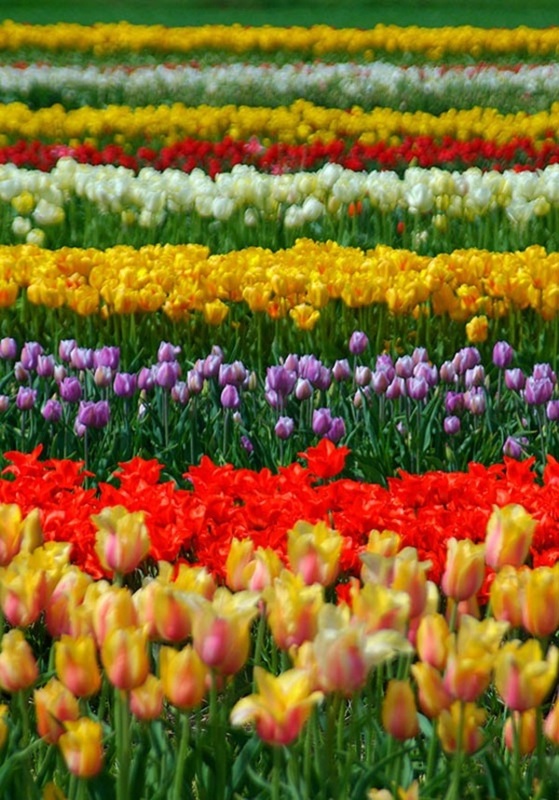 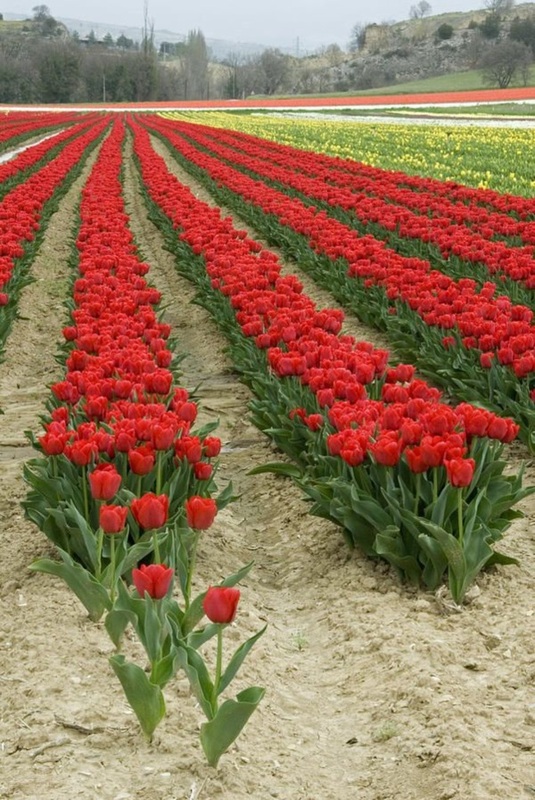 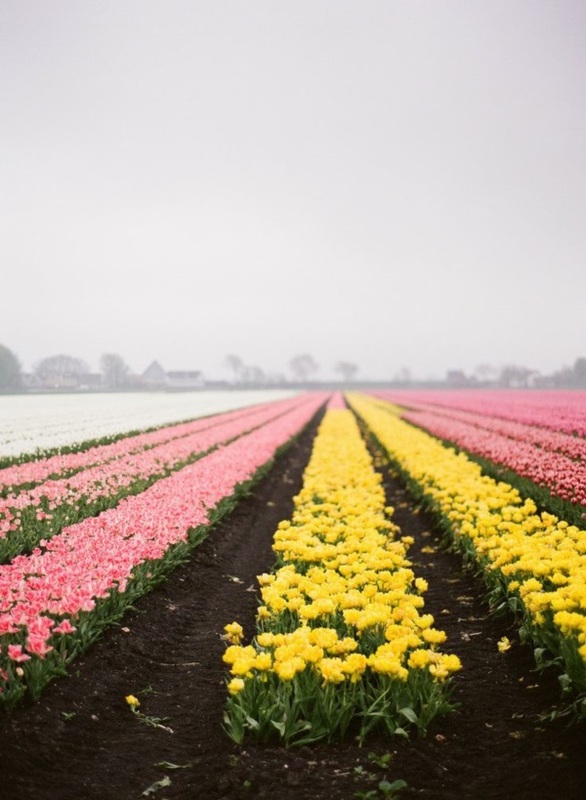 Even in the planting of tulips in fields, people have mixed some colors, in some cases matched some of the colors and also displayed tulips of different colors in clusters. 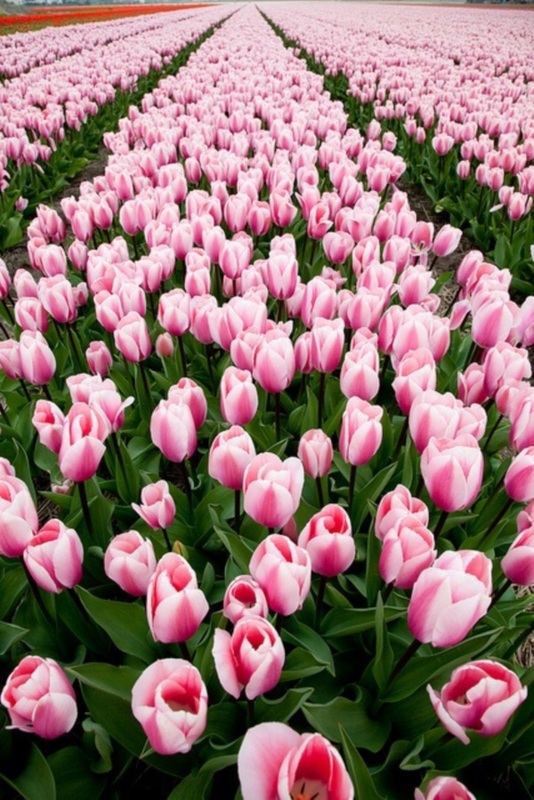 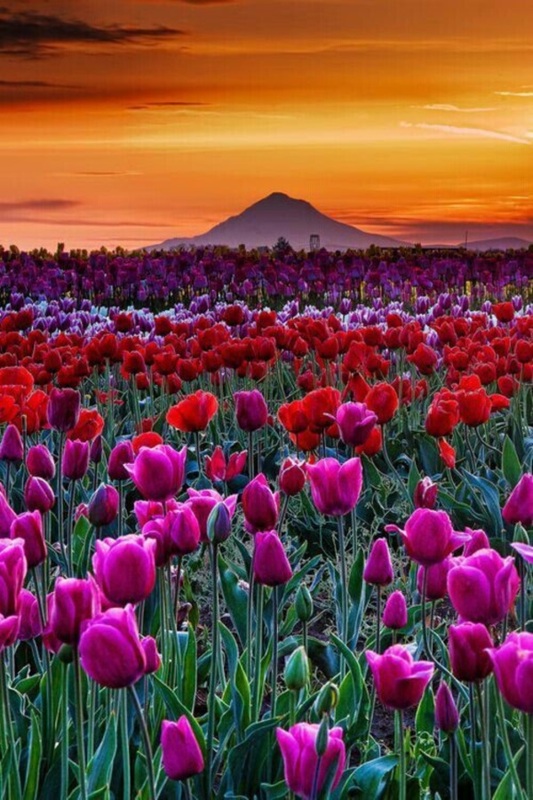 The only that you will be missing when you look at these intense bits of floral color in the fields of tulip pictures is that you will not be able to inhale the fragrance of the flowers. 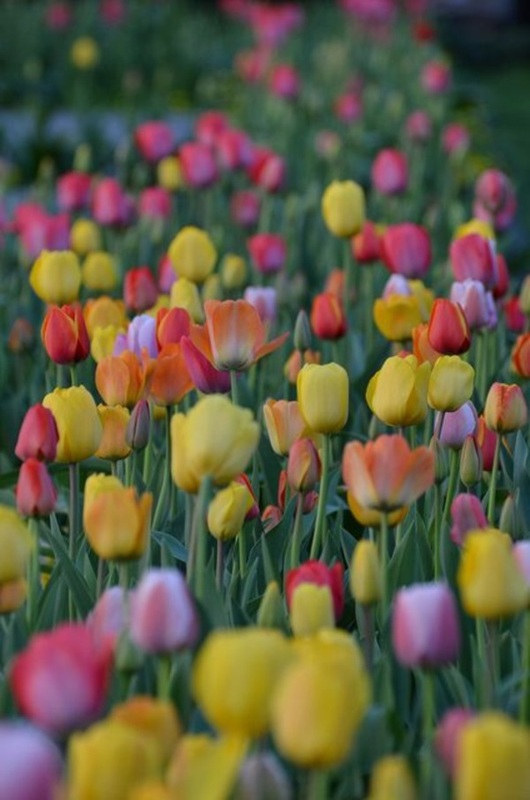 However, we are sure that you can get a good idea of the smell that you can enjoy from these beautiful blooms.